A few years from now, every time you squeeze into an airplane seat, you could be helping protect the world's tropical forests. That's because the airline industry is considering a plan to make up for excessive carbon emissions by financing the preservation of those species-rich forests. Today, if the international aviation industry were its own country, it would be among the top ten emitters of carbon dioxide globally. And going forward, the industry is expecting a tremendous increase in air travel, especially in developing countries where an estimated 56,000 new passenger aircraft will take to the sky over the next 25 years. This influx of travel will likely cause aviation's carbon emissions to skyrocket even more, potentially tripling or quadrupling by 2040. 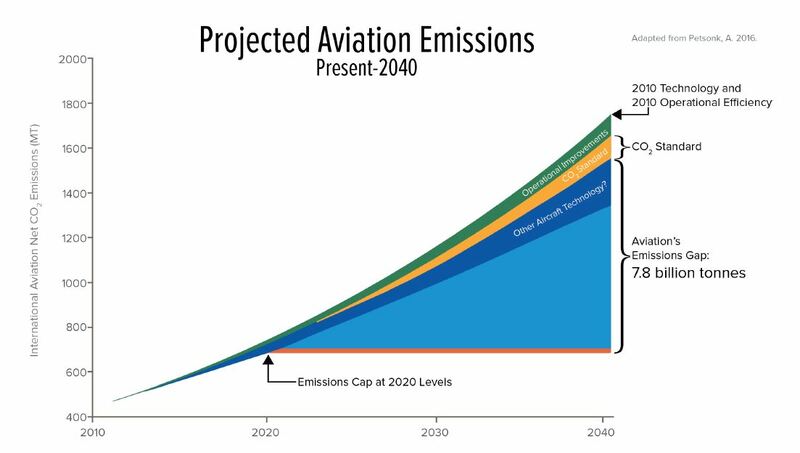 The aviation industry has made some concrete commitments to reduce carbon emissions. It has pledged to cap aviation carbon pollution at 2020 levels and to achieve carbon-neutral growth after 2020. However, there is a limit to how much airlines can reduce carbon pollution through measures such as increasing engine efficiency or building lighter planes which burn less fuel, and the industry is unlikely to meet its emission reduction commitments through technological advances alone. The gap between expected emissions and industry goals is expected to be at least 3 billion tons of carbon dioxide by 2035. As a result, the aviation industry is exploring additional ways to reduce its carbon pollution. That's where forests enter the equation. One option to offset airline emissions that cannot be cut with technological advances is to pay developing countries that are protecting their forests. Such a step would contribute to slowing climate change because forests store between one-third and one-fourth of global carbon dioxide (CO2) emissions, and tropical forests alone absorb almost one-fifth of all carbon dioxide released each year from the burning of fossil fuels. This week the International Civil Aviation Organization (ICAO) is meeting in Montreal, Canada, and is poised to finalize a global market-based measure that would allow the airline industry to take advantage of market-based mechanisms to achieve its self-imposed emissions reduction targets while also generating important investments for forest protection. How would this work? One possibility would be to utilize a policy framework under the Paris Agreement called Reducing Emissions from Deforestation and Forest Degradation (REDD+). (Emissions from the aviation sector are not covered by the Paris Agreement because previous negotiations determined that countries and airlines should reduce emissions from air travel through the ICAO.) 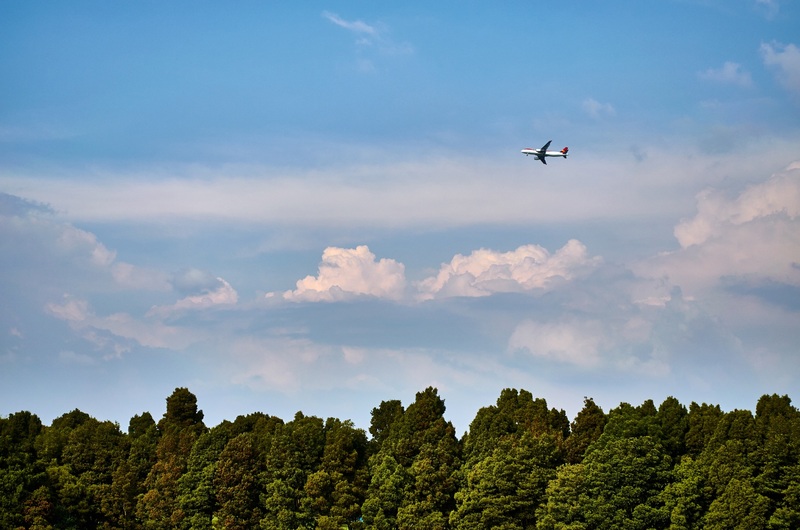 According to recent research, the REDD+ program could generate the necessary supply of forest carbon credits for the airline industry to offset its emissions. There are existing programs, such as the World Bank Carbon Fund or programs at the state level in various developing countries, that could support this. Participating in REDD+ would give the aviation industry an efficient and effective way of achieving emission reductions goals while generating additional benefits for society and the environment, including preserving important habitats for endangered plants and animals, and securing the livelihoods for indigenous and local communities. The vast majority of climate scientists agree that a global temperature increase of more than 2°C degrees will cause severe, irreversible climate impacts. The Paris Agreement lays out a global action plan that puts the world on a path to limiting global warming to well below 2°C. However, additional actions by the aviation industry are essential since their emissions are not covered by the Paris Agreement. Also, the responsibility of fighting climate change should not rest on governments' shoulders alone. There is tremendous potential for the private sector to step up, particularly for the aviation industry, and forests can play a key role. The ICAO -- which includes both government and the airline industry representatives -- should adopt the REDD+ market-based approach for the international aviation sector to reduce its carbon emissions and meet its climate change goals. In addition, just as the Paris Agreement applies to all countries, the global market-based measure should apply to all countries with no exceptions.